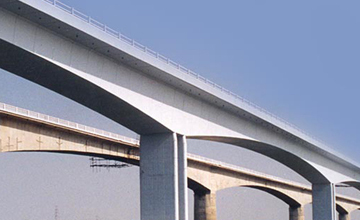 Second Bridge on Narmada River - Rite Geosystems is a global instrumentation and monitoring solution provider, offering turnkey solutions in geotechnical, structural, environmental monitoring and geodetic surveying. A unit of the renowned Encardio-rite Group, Rite Geosystems leads the group’s operations across the world in USA, Europe, and Asia. 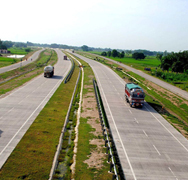 The project includes a 1.4 km long segmental balanced cantilever type bridge, along with 4.6 km approach roads. 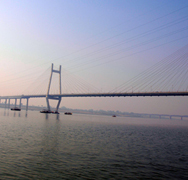 This award winning bridge near Zadeshwar, Gujarat links Mumbai and Ahmedabad. 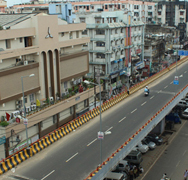 Built in a record period of 32 months, this bridge connects Vadodara and Bharuch across Narmada River on NH-8. 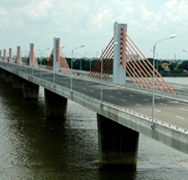 The bridge consists of 13 main spans of 96.2 m and 4.63 km approach roads. The chief civil contractor of the L&T- ECC Construction Division, following the guidelines given by the design consultants DAR of UK, carried out a comprehensive instrumentation program. Encardio-rite was awarded the complete instrumentation and monitoring work including the supply, installation, monitoring and reporting with data interpretation and evaluations. The bridge was instrumented to assess its performance during load testing and long term monitoring. The instrumentation scheme included strain gages, displacement sensors, temperature sensors, tilt meters and portable readout units.